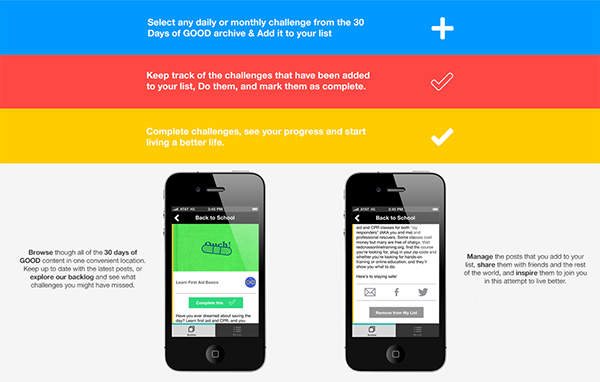 The challenge of creating the 30 Days of good app was to create a mobile experience out of their most interesting features, monthly challenges to improve your life. 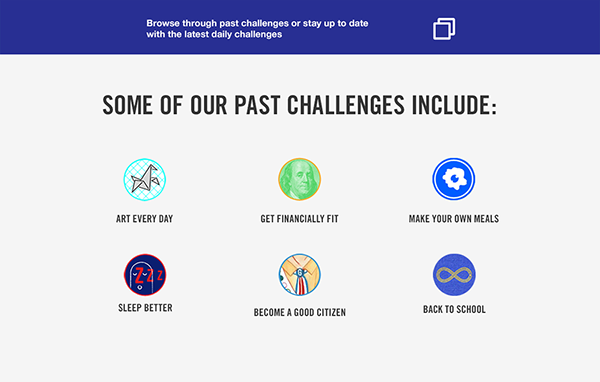 The idea behind the app would be to allow the user to set up his own goals from different challenges, and basically compete with himself with help of slight gamification features, such as tracking their progress and winning badges for every completed challenge. 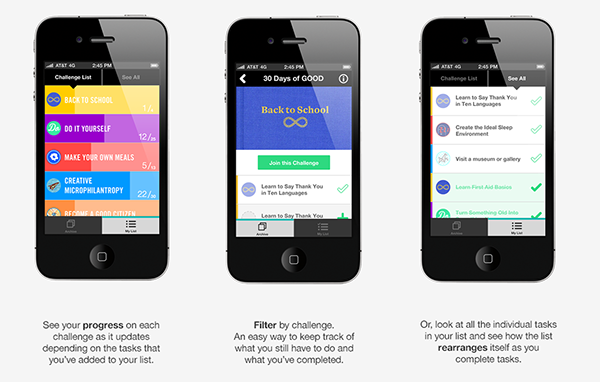 Designed while at GOOD under the supervision of Keith Bormuth & Renee Solorzano. 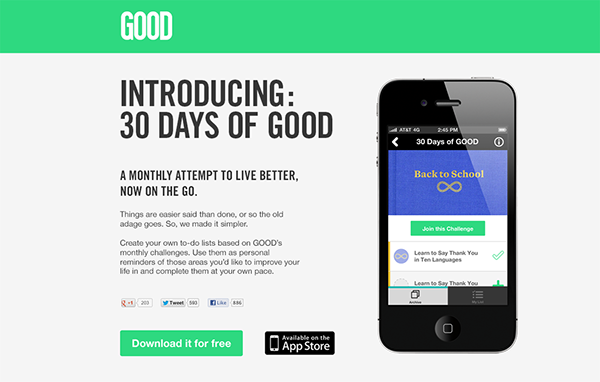 The 30 Days of good app was pitched as a way to create a mobile experience out one of GOOD's most interesting features, monthly challenges to improve your life.